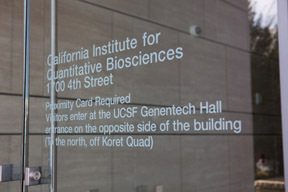 The California Institute for Quantitative Biosciences recently opened a new bioscience incubator close to the University of California San Francisco campus at Mission Bay. The Institute is commonly referred to as QB3 and is affiliated with UC Berkeley, UC Santa Cruz and UC San Francisco. The new incubator, called QB3@953, aims to further strengthen the partnership between UCSF and the Bioscience industry while providing startup opportunities for UCSF and industry researchers. The incubator consists of a 24,000 Square Foot Building near the Mission Bay campus that contains over $500,000 in new research equipment. This facility aims to provide the resources and services that scientists need to turn their discoveries in cutting-edge products. Furthermore, the incubator provides many networking opportunities for researchers. The institute aims to connect scientists with a community of entrepreneurs, mentors and investors that can help them translate their research into innovative products and services. The incubator is located at 953 Indiana Street (hence the 953 in the name), the facility will provide enough laboratory and office space for between 30 and 35 start ups. Space at the incubator is filling up fast with sixteen companies already renting space and another eight having joined in the middle of November. QB3@953 is also home to Janssen Labs @QB3, one of the largest companies at the incubator. This company will occupy 5,000 square feet of lab and office space. The QB3@953 incubator is geared toward serving the needs of small start-ups and young innovative researchers. QB3@953 aims to make laboratory space and other resources affordable for new bioscience start ups. They allow new companies to rent space in small and specific increments. This insures that these companies won’t waste any of their scarce start-up capital while insuring that all their research needs are met. For example, QB3@953 rents spaces and equipment as small and specific as part of a shelf in a low temperature freezer or a section of an eight foot lab bench. QB3@953 wants the resources at the incubator to be accessible to researchers with very small grants or very little capital. Furthermore, every company in the incubator will have access to funding from QB3's seed-stage venture fund. This is an $11.3 million fund that is dedicated to supporting University of California start ups. They will also be connected with Mission Bay Capital, networks of business and legal advisors, and help with grant writing. Tenants at the incubator will also have access to state of the art equipment and facilities on UC San Francisco's Mission Bay campus. Associate Director of QB3 Douglas Crawford, PhD summed up the importance of providing this sort of incubator: "Startups are one of the best ways of turning breakthrough science into great products, but in the life sciences the high price of equipment and space means many great ideas never get a chance. We want to change that. We want to help entrepreneurial scientists change the world." 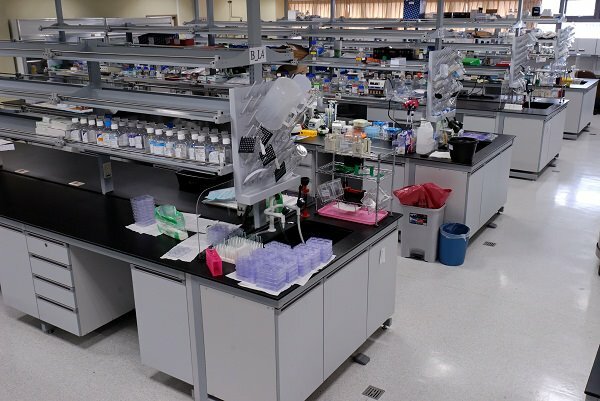 QB3@953 is just one the many ways in which the California Institute for Quantitative Biosciences is connecting researchers with the capital and lab resources they need to develop new and innovative bioscience products. The goal of the institute is to foster cooperation between private industry and over 220 scientists at UC San Francisco, UC Berkeley and UC Santa Cruz. The California Institute for Quantitative Bioscience was founded as part of an initiative by California Governor Gray Davis to support the state’s science economy. The institute is one of four institutions created through this initiative that aim to support science while stimulating the California economy and translating scientific discoveries into technologies and products that serve the public good.